It is with great sadness that we have learned of the passing, after a prolonged illness, of a great sensei and friend of Calgary Aikikai, Robert Kubo Shihan 8th Dan of Honolulu Hawaii. Kubo Sensei was one of the “Three Amigos” which was composed of he, Inaba Sensei, our dojo’s founder and Igarashi Sensei our Shihan. Great friends, as well as aikido masters, they always had a sparkle in their eyes when they were together. This spirit was reflected in their passion for their art and life. 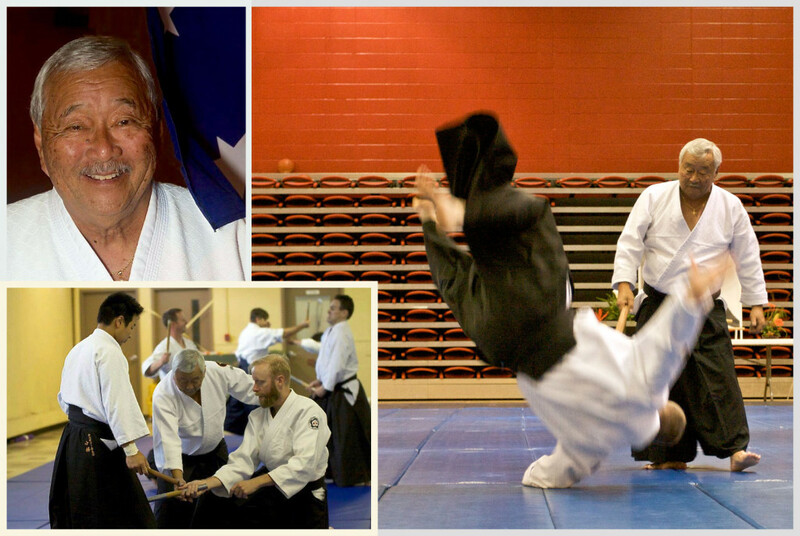 Kubo Sensei always brought both his personal insights and sense of joy and humour to his visits to Calgary for seminars. From Kubo Sensei’s experience working with prison employees we were tutored in the use of his “mini baton” which was both enlightening and at times, if used to it’s full potential, painful. Sensei will be missed but never forgotten in Calgary. Our best wishes go out to his family and friends as we celebrate his life in our thoughts and prayers.